Are you out to find exquisite jewellery that you can wear to any formal event or any other occasion? Check out Pure Gold and the range of jewellery they have on offer. One of the largest jewellers in Dubai and in the Middle East, Pure Gold brings a taste of the classy, the elegant, the sophisticated, and perfection to an everyday look. With Pure Gold jewellery, you get to experience the fine look and feel of premium jewellery at pocket friendly prices. 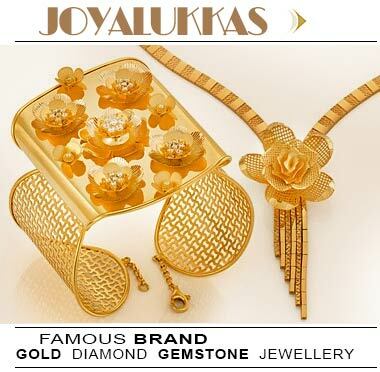 Pure Gold jewellery collections can be found in all brand outlets in the different Gulf countries. Pure Gold sells a long list of in-house brands and international brands that are already well known in the market. Both types of brands bear the same superior quality of production and are made to flawless state. Top Pure Gold collections include Bridal, Circle of Life, Diana Collection, Eternity, Fareeha, Illusion, Gift Collection, Oystra, Kids Collection, Pure Platinum, Solitaire, Reflection, Tribal Collection, and Drop & 3 Heart Pendant. 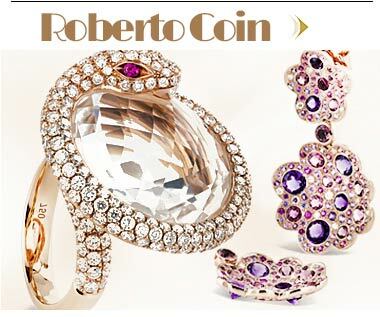 International jewellery brands that you'll find at Pure Gold stores are Roberto Coin, Moraglione, and Annamaria Cammilli. Each of these designer pieces is made in precise fashion for a seamless look that is natural and aesthetic. Walk into any Pure Gold outlet and choose from the hundreds of wedding ring designs on display. They come in an extensive variety of designs that appeal to diverse preferences. Wedding and bridal jewellery collections at Pure Gold include wedding bands, gold and diamond rings, gold and platinum wedding rings, gold and silver wedding rings, and a variery of diamond engagement rings. There is an additional selection of dress rings and fashion rings that are perfect for any occasion, formal and informal. Pure Gold bracelets and bangles come in a range of styles, and include thin bracelets, chain brackets, chunky bangles, funky bangles, and classy bracelets that can be worn with any formal outfit. Pure Gold pendants give you the chance to create your own individual look with a necklace of your choice, and you can use them with different chains and necklaces for a new look each time you wear them. Made from sterling silver, gold, diamond, pearl, and other gemstones, these are the best choice of jewellery for a personalized look. From rose gold, and white, red, violet, blue, to two-tone designs, Pure Gold jewellery comes in a choice of colors to match your moods. Get the finest jewellery for everyday wear or that special occasion you're looking forward to at Pure Gold Jewellers, Dubai's top jewellery company and one of the largest suppliers of jewellery in The Gulf. The brand offers a huge collection of rings - both wedding rings/bands and dress rings, bracelets, neck pieces, bangles, pendants, chains, and charms, for men, women and kids. Whatever your taste and preference, you won't go wrong with Pure Gold. Their jewellery is made from different combinations of solid gold, diamond, sterling silver, platinum, and a range of gemstones. Discover the best jewellery stores and jewellers of the Middle-East! Visit the nearest shops or buy online from their latest collection. Diamond rings, gold necklaces, silver bracelets, engagement rings, charms, gemstone earrings... Luxury and cheap jewelry sections for women and men! Sign up for our newsletter to get the latest jewellery designs and online shopping deals! Stay in touch with us via social media!